During the 1950s, 1960s and indeed into the 70s many families in Skehana moved to new larger farms in Ryehill and, indeed, families in the area moved to larger holdings in Co. Meath. The people who moved were re-settled in the new farms and in most cases a new house was also built for them on the new farm. The land that they left was divided again amongst the remaining farmers of the area to improve and expand their holdings to a more viable size. This was done through the Land Commission. 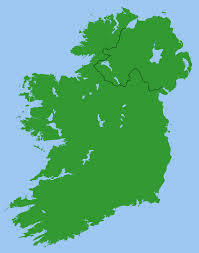 The Irish Land Commission (or simply Land Commission) was created in 1881 as a rent fixing commission by the Land Law (Ireland) Act 1881, also known as the second Irish Land Act. For a century it was the body responsible for re-distributing farmland in Ireland. The Commission was reconstituted in the Irish Free State by section 2 of the Land Law (Commission) Act, 1923, backdated to the state’s creation. The Act also dissolved the Congested Districts Board. Provision was made for compulsory purchase of land owned by a non-Irish citizen. Un-tenanted land could now be compulsorily purchased and divided out to local families; this was applied unevenly across the country, with some large estates surviving if the owners could show that their land was being actively farmed. From 1923 the amounts outstanding were paid to the British government as “land annuities”, accruing in a Land Purchase Fund. This was fixed at £250,000 annually in 1925. In December 1925 William Cosgrave lamented that there were already: “250,000 occupiers of uneconomic holdings, the holdings of such a valuation as did not permit of a decent livelihood for the owners”. Despite this, his government continued to subdivide larger landholdings, primarily to gain electoral support. The Land Act 1933, passed on a vote of 70-39, allowed the Minister for Finance to divert the annuities for local government projects. This was a factor that caused the “Economic war” in 1933-38, and was mutually resolved by a one-off payment of £10m. to Britain in 1938. From 1932 the government argued strongly that Irish farmers should no longer be obliged for historic reasons to pay Britain for Irish land, but when Britain had passed out of the payment system it illogically still required farmers to continue to pay their annuities to it as before. In 1983 the Commission ceased acquiring land; this signified the start of the end of the commission’s reform of Irish land ownership, though freehold transfers of farmland still had to be signed off by the Commission into the 1990s. The commission was dissolved on 31 March 1999 by the Irish Land Commission (Dissolution) Act, 1992 and most of the remaining liabilities and assets were transferred to the Minister for Agriculture and Food. Many relevant historical records are held by the National Archives of Ireland. The Commission, whilst often regarded as the champion of land ownership for those who used it, and social justice, was not without controversy. In particular its subdivision of land into uneconomic units has had a lasting effect, as well as the destruction of fine landlords’ residences such as Monellan Castle and Shanbally Castle with Government approval. As farming became more mechanized from the 1930s foreign investment in commercial farms was discouraged, reducing overall farm output. Often the buyers found it hard to earn enough to live a good life, as found in the poems of Patrick Kavanagh. The Dáil reports from the 1920s to the 1960s frequently include questions about the division of former estates, and the acquisition of land with public finance on favourable terms for constituents via the Land Commission was understood as a way for politicians to gain electoral support. From 1940 a minority in Fianna Fáil and Coalition cabinets consistently argued for larger farms to be encouraged, instead of sponsoring new small farmers that often had too little capital, skills or enthusiasm. This was successfully opposed for social and political reasons by Éamon de Valera, and in Coalition governments by Joseph Blowick, the leader of Clann na Talmhan. Under the 1923 Act busier farmers had to rent extra land under an 11-month or seasonal “conacre” system, as longer arrangements could cause an owner to lose his farm by compulsory purchase by the Land Commission. While there were now some 300,000 Irish landowners compared to several thousand in the 1800s, the basic term for the use of land had reverted to the norm of the 1860s, with no rights to renew a lease and no incentive to improve rented land. By 1980 some 860,000 acres (3,500 km2) were rented annually under conacre, suggesting a new imbalance between mere ownership and the more active farmers.The cost of agricultural machinery requires larger farm sizes to generate economies of scale. The Lands Act 1965 was passed to restrict new foreign investment in agriculture, some of which was speculatively based upon Ireland’s imminent entry to the European Economic Community that eventually occurred in 1973. The EEC’s “Four Freedoms” allowed for unlimited investment anywhere in the EEC by any citizen of an EEC member state. This naturally undermined the ethos of the Land Commission, which had processed a further 807,000 acres (3,270 km2) since 1923. By the early 1970s half of open market land purchases were by non-farmers, and half of those were to buy small sites, typically for building bungalows. By the 1980s, just before its reform, the Land Commission came under the Department of Lands, which was in turn a part of the Department of Agriculture. The Department of Lands was seen as an overgrown entity, employing 750 people in 1983; its budget of IR£15m included IR£8m for administration costs and only IR£7m for actual land purchase or division. Further purchases were suspended that year by Paul Connaughton. Excellent article here! Also your web site loads up very fast!